It is the last over and just a handful of runs are left to achieve. The pressure is on your shoulders to finish the game or suffer the consequences. Without any of the best finishers in their team, the team could crumble at the finish line. While some players prefer to steadily reach the target, others go out guns blazing. 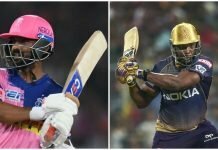 So, here are some of the best finishers in the IPL. 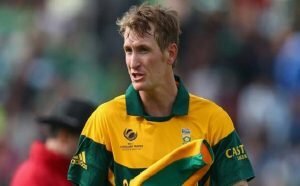 Chris Morris is a highly underrated batsman in IPL. The Protean has an excellent IPL record, to be precise, in 51 matches, he has amassed 485 runs. He has also shown the ability to find the boundary on several occasions. Last season, Morris was one of Delhi’s bright sparks in a disappointing season. Therefore, Delhi opted to retain Morris this season and he will look to continue his purple patch. He also has the ability to be a good finisher when the situation calls for it. 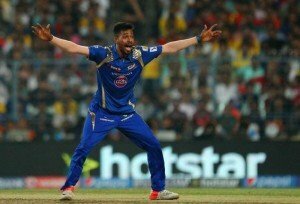 Hardik Pandya burst onto the scene when he debuted for Mumbai Indians. The all-rounder’s impressive performance was enough to earn him a national call-up. Pandya was in the thick of action during Mumbai Indians’ title victories in 2015 and 2017. 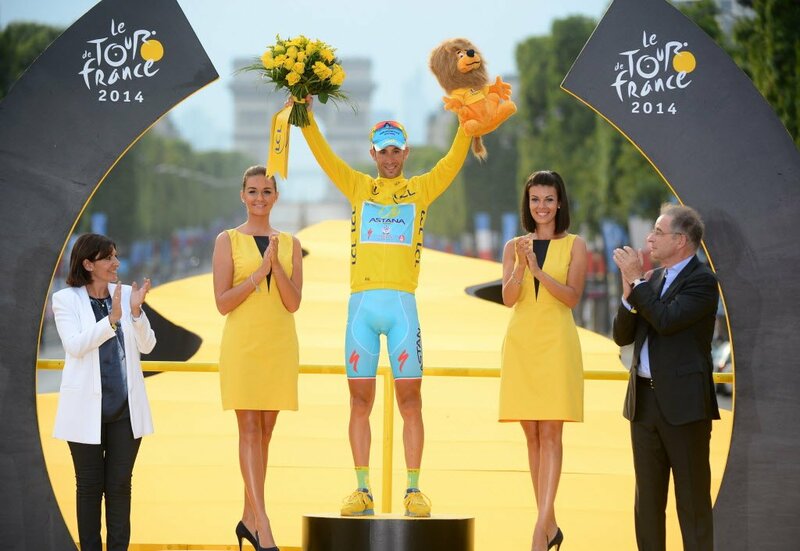 His knocks managed to get the defending champions out of sticky situations. In his debut IPL season, He came through in a must-win game for Mumbai Indians against CSK. Pandya brutally punished Pawan Negi by striking 25 runs in his over. Pandya is capable of sending balls out of the park and is one of the most dangerous batsmen of this year’s IPL. Ben Stokes attained the status of most expensive player at the auction when Rajasthan Royals acquired his services for 12.5 crores. Stokes shone during his stint at Rising Pune Supergiant last year. He is also a destructive batsman as he can smash some lusty blows in the death overs. With Stokes around, no spinners or seamers are safe and he is one of the best finishers in the game. When Pune faced off against Gujarat Lions last year, Stokes stuck around right till the end and it culminated in his maiden century in IPL. 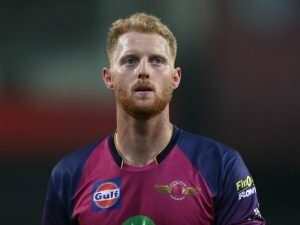 With Smith axed from IPL due to the ball-tampering shenanigans, Stokes will be needed more than ever for Rajasthan Royals. Andre Russell missed the last edition of the IPL due to being embroiled in a doping scandal. As a result, the Kolkata Knight Riders were worse off for it and couldn’t reach the finals. Russell is one of the most explosive batsmen and one of the best finishers. The Jamaican’s strike rate is an impressive 173.41 and can help KKR score vital runs at the back of the innings. In one of his most memorable games, KKR needed a target of 155 but were struggling at 60 for 5 after 8 overs. When Russell came to the crease, KKR was a completely different beast. 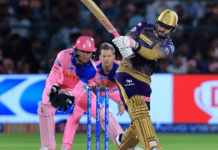 He smased an unbeaten 66 off 36 balls and won the game for the Knight Riders. Of course, not IPL finishers list is complete without Captain Cool. Mahendra Singh Dhoni has proven his mettle as a finisher over the years. He can take his team over the line without even breaking a sweat. 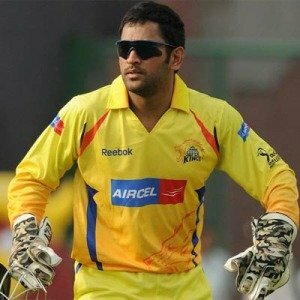 Now back with the returning Chennai Super Kings, they will be lethal. With Dhoni on strike, the entire ground is a wagon wheel of sixes and fours. 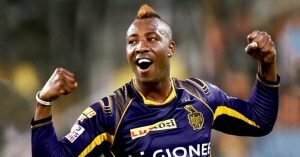 The former Indian captain’s notoriety came through when he played for Rising Pune Supergiant last year. 23 runs needed off the last over and Axar Patel had the ball. Dhoni took charge and promptly steered RPS to victory. Despite his age, he can still give the opposition nightmares until he is sent back to the dressing room.